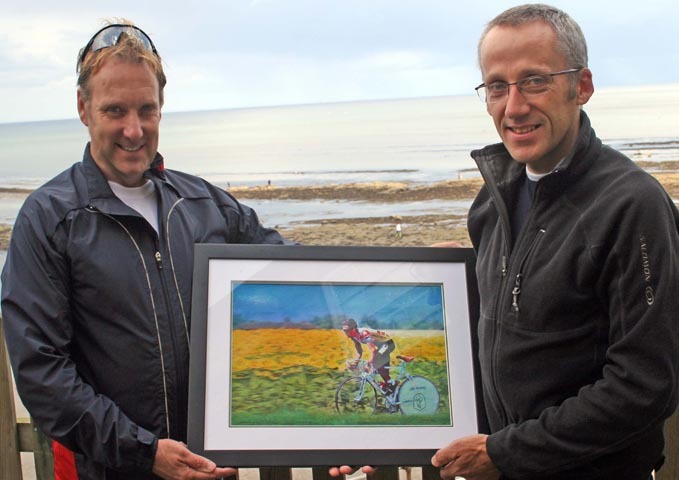 This is a painting of Adrian Timmis during the 87 Tour De France on the 10th stage, 87km Time Trail, Adrain is one of a small number of British cyclists to ever complete the Tour. It was presented to Adrain by artist Paul Shipley. It was supposed to be a surpise present organized by his wife Nicola, but Adrain said " she can't keep surpises!!!"